Vanilla View welcomes guests to experience all the delights that Tofo has to offer. Placed just 1.2 km from Tofo town in Mozambique’s Inhambane Province, this lovely lodge has a sublime setting in a quiet area with spectacular vistas of the Indian Ocean. What you see on the candid photos is exactly what you can expect to find at this quaint Mozambique accommodation which is a wonderful holiday destination for family holidays and honeymoons. The 2 luxury villas at Vanilla View are built to blend with their surroundings, affording guests rustic yet stylish rooms with a homey ambience. 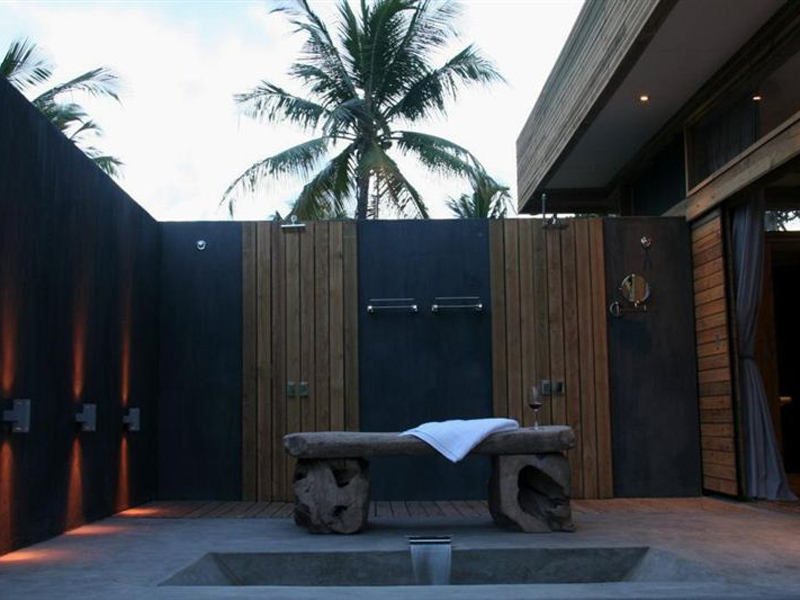 Each features capacious en-suite rooms with private open air showers. The main bedrooms boast sunken baths as well as his and hers open air showers. Outdoor lounging areas, rim-flow pools and the bomas provide the perfect spots for relaxation. The villas are serviced daily and guests are provided with towels and percale linen. There is a fully equipped kitchen for those who enjoy the taste of their own cooking. More information on Vanilla View Tofo here! Book your holiday to Tofo and let our specialist consultants assist you with the travel arrangements. Contact us today.